As dogs age their joints begin to break down from general wear and tear. This can cause painful arthritis that affects their daily life from playing to lying comfortably and even walking. As owners you want to do all that you can for your pet, and these ten things can be done as early as today to provide relief and healing. 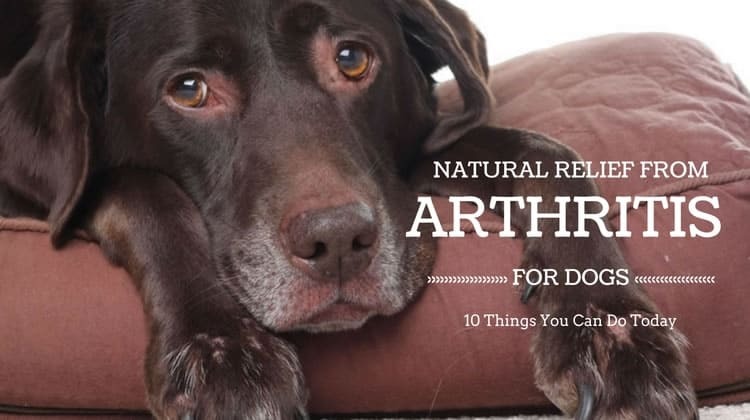 We’ve included a list of 10 things you can do for natural arthritis relief for dogs. Options include adding to or adjusting your dog’s current home life from a new bed or sweater to adding carpet and adjusting their food and treats. Treatment is also available in the form of supplements, as well as heat and massage therapy. These things along with working closely with your local vet will help you find a path to wellness and get some of that young playful dog back in your family friend. 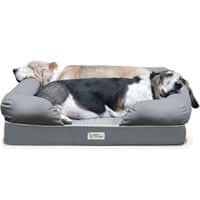 Arthritic dogs need cushion and support, which is why an orthopedic dog bed is an easy way to provide your dog with some relief. Orthopedic beds are typically made of a foam core that both supports the dog’s full weight as well as cushions their body creating a very cozy and restful atmosphere. Switching your dog’s older bed to one with more support, especially going from a pillow style bed to a bolstered couch style bed, will provide some much needed relief. Couch style beds have bolsters that act as back and head support, as well as create a nest for added warmth. Adding a new bed to the home will also give your pet a luxurious place to rest and sleep. This will help them stay off of the couch and bed, since climbing on both can make joint pain worse. If anything makes arthritic joints more painful it’s cold and damp environments. Keeping your dog warm as much as possible will reduce their pain and provide more comfort. This could be as simple as putting your dog in a sweater or t-shirt while in the house, which will retain their body heat during the day. Adding blankets to their bed or upgrading to a more cuddler or couch style bed is another way to create a warm nest to cozy up in. This can create a very comfortable sleep environment and add cushion in addition to warmth. 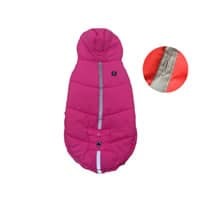 Outdoors, a jacket may be a good option to reduce the heat loss on walks and during playtime. 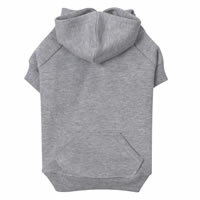 There are both sweater and jacket options for a variety of dog sizes and breeds online and in your local pet store. Slippery flooring can make it difficult on arthritic dogs because it’s tough to find a grip and have sure footing. Adding some carpet to high traffic areas on wood or tile flooring can give your dog some added security and confidence. Carpet runners and area rugs are a good choice as long as they grip the floor and don’t slip while walking. This option is also a temporary and portable fix, which can be adjusted to cater to your dog and home life. If the dog’s bed is usually on a more slippery floor surface is may be a good idea to update to a non-skid bottomed bed, or add an area rug under the bed to provide stable footing while entering and exiting the bed. Another challenge for dogs suffering from arthritis is stairs. 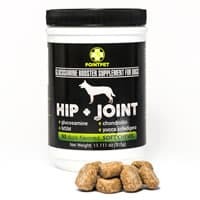 Having to maneuver up and down stairs repeatedly throughout the day can be jarring and tough on joints which adds to the general discomfort the dog is suffering from. Adding some ramps both inside and out will reduce the dog’s resistance to use the stairs and will make walks more enjoyable. You can also avoid stairs outside by either choosing an alternative route or walking up and down the grassy slope to provide more cushion and support. If ramps are not an option it may be necessary to carry the dog up or down the stairs. While this isn’t ideal, your dog will have much more energy on walks and during the day if they can avoid the stairs whenever possible. Glucosamine for dogs works much like it does for humans, to lubricate the joints and help with cartilage function. A glucosamine supplement will help rebuild damaged cartilage and provide more cushion and support throughout the day. Adding this supplement to your dog’s current regimen is important because most dog foods on the market don’t include glucosamine in the ingredients. This particular supplement is a flavored chew that can be given like a treat with added health benefits. Many owners saw a difference in their dog after just a few weeks of daily use. Many veterinarians will suggest a glucosamine supplement for younger dogs to help prevent arthritis in the future. 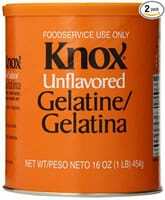 Gelatin is another supplement that can provide some relief to arthritic joints. Some popular options include bone broth, either homemade or store bought, and Knox Gelatin which can be found at any grocery store. This gelatin is unflavored and adds healthy fats without added calories, which work to provide cushion and lubrication to joints. Once it’s prepared the mixture can be added to the dog’s daily meals. 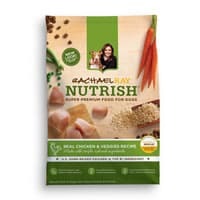 Many dog owners have started to make their own dog food and this would be a great ingredient to add into the mix. Be sure to check with the vet before using it as treatment for your dog’s condition. Maintaining proper veterinary care is also a very effective method to treating arthritis naturally. A large component of arthritis in dogs can be their daily meals. Many dog foods and treats are full of filler, things like carbohydrates and other items to give the food bulk. These fillers decrease the nutritional value of the food and can worsen existing arthritis. Providing your dog with nutrient dense daily meals will give them the energy to heal and maintain their health. Many owners have taken to cooking and preparing their own dog food, but it’s a good idea to speak with a veterinarian for instructions and what would be the most beneficial for your dog. There are several prepared options on the market like Blue Buffalo, Nutro, and Nature Balance. These dry foods have more natural ingredients and may be a good switch from your current dog food. Exercise is a large component of fighting arthritis in dogs of all ages. Dogs that don’t get frequent exercise may become overweight or even obese which is harder on joints and can accelerate existing arthritis. Taking slow walks can help reduce inflammation as well as body weight, taking pressure off the affected joints. It’s important to go slow and try to add a few minutes of exercise daily. You can start off playing fetch in the house or walking around the block. Watch your dog for signs of stress or pain and adjust accordingly. Walking on hard surfaces can be irritating to arthritic joints. While it’s a good idea to add carpet to hard flooring it’s also wise to make sure your daily walks are on grassy or cushioned surfaces. Walking on concrete sidewalks can be difficult for sore dogs, while the grass provides more cushion and support. Exercise is important for a dog’s joints and overall wellbeing, so choosing comfortable and flat surfaces will make sure they get the most out of their walks. In dogs with issues specific to a particular joint the use of warm compresses may relieve some discomfort. Just like you would use warm compresses on a human’s sore back or knee, warm compresses can be used on your dog too. This therapy can be done with a warm damp towel or even a heating pack. Heat can be applied to joints for a few minutes, then removed. This will ensure that the dog doesn’t get too hot and that the heat source doesn’t burn them. Use caution and go slowly with this treatment to keep your dog safe and healthy. Keeping your dog warm throughout the day, with the use of extra blankets, a jacket, or a sweater will also help them keep their joints warm and more flexible. Along with warm compresses, heated massage may provide some relieve to sore and aching areas. This therapy should be used along with an outside heat source like a heating pad or warm towel. Once the heat has been applied to the area for a few minutes you can gently massage the area, paying close attention to how your dog reacts and behaves. Some dogs may enjoy it, much like they do a belly scratch, while other dogs may be protective of the area and it will be clear you should stop. Feel free to speak with a veterinarian before preforming this treatment. There are also professionals that preform this treatment for arthritic dogs and a referral may be found online or at your local veterinary clinic.